Despite volatility in the market, equities remain strong overall and investors could be forgiven for questioning the role of alternative strategies in their portfolios. But it is exactly at these moments when investors must think anew, giving careful consideration to the characteristics of the various tools that can be employed within a diversified portfolio. In the following table, we present various risk, return and beta measures associated with all the major hedge fund strategies, many of which are available in mutual fund form. The window of time selected was based on the longest common time frame for these indices, and is inclusive of multiple market cycles. As you examine the line items, you’ll note that while each strategy has a fairly unique signature, there are undeniable commonalities. This is a function of the fact that there are only four broad asset classes: equities, bonds, commodities and currencies. No matter how you invest in these asset classes – through long-only or long/short strategies, directly or via derivative exposure, with or without leverage – you will have exposure to common risk factors like equity risk, credit/default risk, duration/horizon risk, and so on. The benefit of using alternative strategies is that they allow you to better dial-in the specific exposures that you want to either magnify or minimize. Long-only equity is the workhorse of most portfolios and has been quite effective over time to be sure, but it is a blunt instrument. When it is working well, as it has for almost a decade, that blunt instrument appears to be the only tool that investors need. However, as we are all painfully aware given the two major bear markets experienced since 2000, there are indeed times when that blunt instrument fails spectacularly. The same could be said, albeit on a lesser scale, of long-only, investment grade debt, which, at least during the lives of prior generations, failed over decades to provide positive real returns. Our business exists to serve the financial advisor community, and in our daily interactions with advisors, we are often asked our opinion regarding asset allocation, portfolio construction and risk management when incorporating alternative strategies into portfolios. Our first question when asked for such input is always, what are you trying to achieve? Do you have a specific view on the economy or markets that you want to take advantage of? Do you have a return target, either absolute or relative, that you are trying to reach? Or do you have, let’s call it a maximum pain threshold, a particular dollar amount that you absolutely couldn’t bear to see evaporate, even if only temporarily? With a particular goal in mind, the merits of each asset class or strategy, that is, what each portfolio component contributes to the overall risk/return profile of a total portfolio, can be more easily determined. Alternatives allow investors to add to their equity, credit or interest rate exposure, for example, in ways that reduce timing risks, that allow for more precise exposure to sub-factors like quality, volatility or value, and that can truncate the downside when blunt instruments stop working. We believe that a market replete with uncertainties surrounding the direction of the country is the impetus to take full advantage of alternatives by incorporating meaningful exposure to such strategies, consistent with client goals. No matter how you invest across asset classes, you will have exposure to common risk factors. Long-only equity is the workhouse of most portfolios and has been quite effective over time, but it is a blunt instrument. 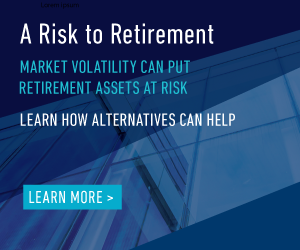 Alternatives allow investors to add to their equity, credit or interest rate exposure in a way that reduces risk and can truncate the downside. 1Data from August 31, 2008 – August 31, 2018. This 361 Capital article is not intended to provide investment advice. This article should not be construed as an offer to sell, a solicitation of an offer to buy, or a recommendation for any security by 361 Capital or any third-party. You are solely responsible for determining whether any investment, investment strategy, security or related transaction is appropriate for you based on your personal investment objectives, financial circumstances and risk tolerance. You should consult your legal or tax professional regarding your specific situation.